CT-ART is the world's most recognized and effective chess tactics course. 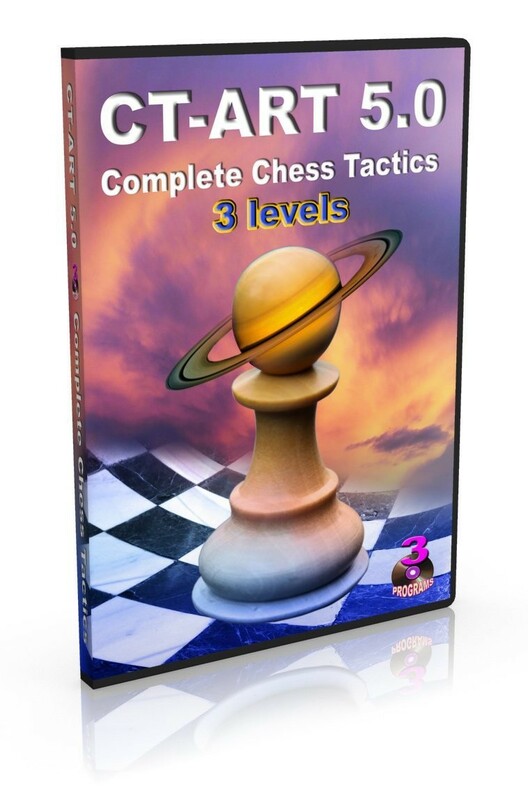 The new CT-ART 5.0 combines three levels of chess tactics on three discs: CT-ART for Beginners is, as the name suggests, the best training course for beginners. It contains 150 teaching examples introducing you to typical chess combinations and 1500 new exercises meant to develop your playing skills and reinforce the knowledge acquired. The exercises are classified according to more than 30 tactical methods and motifs. Languages: English, French, Italian. CT-ART. Mating Combinations is an excellent course for club players. Prepared by the famous coach Victor Khenkin, it includes 1200 instructive examples on 14 themes, each of them illustrating the peculiarities of using certain pieces in mating combinations, and 700 exercises for you to solve. The exercises include refutations of wrong moves and other hints. Language: English. CT-ART 4.0. This excellent tactics course has been voted more than once by the chess experts as the best training program on chess tactics. CT-ART is an indispensable training tool for intermediate players. The course incudes 2,200 basic and 1,800 auxiliary exercises. Languages: English, German, French, Spanish, Italian. System requirements: Windows XP/Vista/7/8, Pentium 1000 Mhz CPU, 512 MB RAM, 100 MB HDD space, CD-ROM drive. I received this item as a gift, and I was not disappointed! There are many different types of tactical problems and you can get through them quickly.